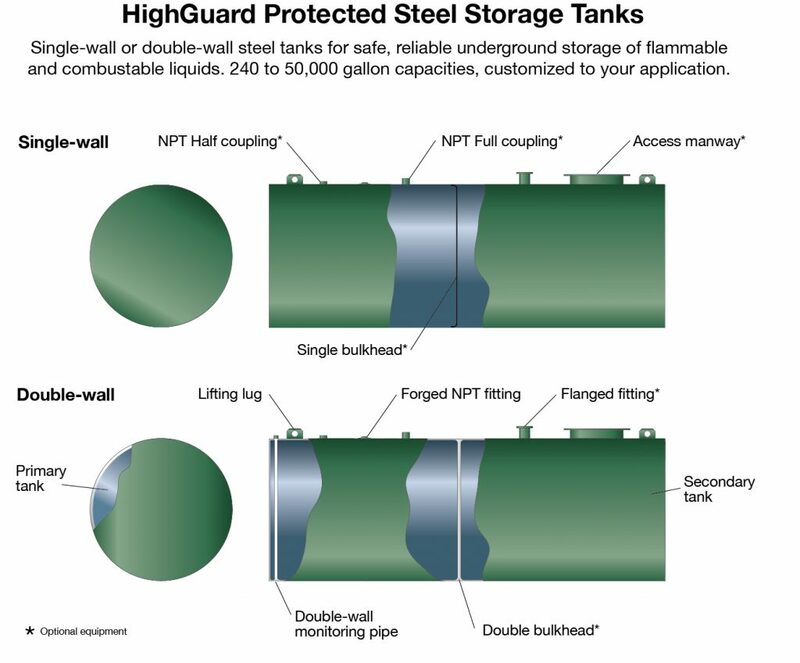 HighGuard is an innovative technology from the nation’s leading producer of underground steel storage tanks. HighGuard combines the structural strength of steel tank construction with the lasting protection of a polyurethane coating to produce a high-quality storage tank second to none. HighGuard is UL-1746 compliant and extremely resistant to surface damage due to impact or abrasion that may occur during transportation and installation. Supplied with standard 10-year warranty. 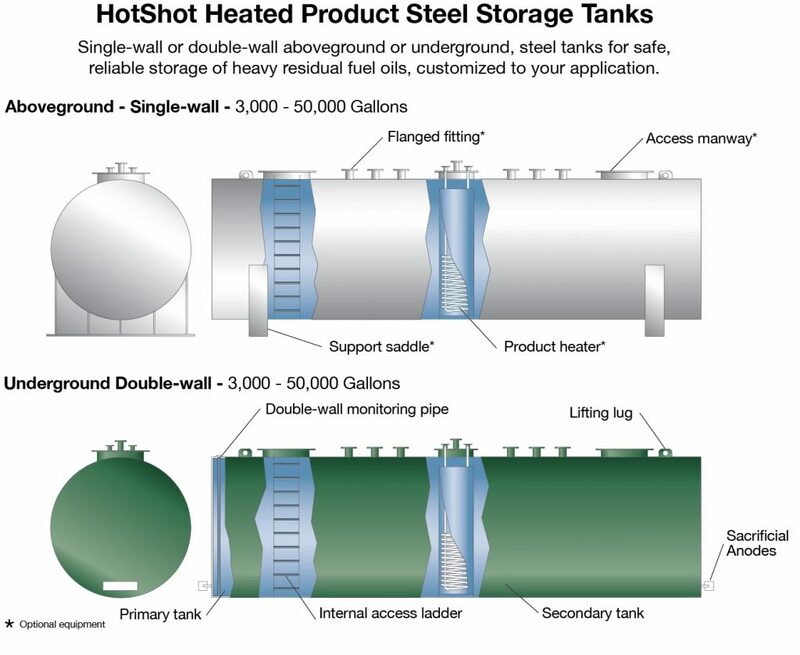 The Highland TITAN® is the most technologically advanced underground steel storage tank available anywhere in the industry. Our patented fusion technology bonds a high molecular weight (HMW) polymer outer tank to a steel inner tank at every tank opening. The process utilizes high heat and pressure to create a virtually leak and damage-proof outer thermoplastic tank. TITAN® is so tough, it surpasses the performance standards of UL-1746. 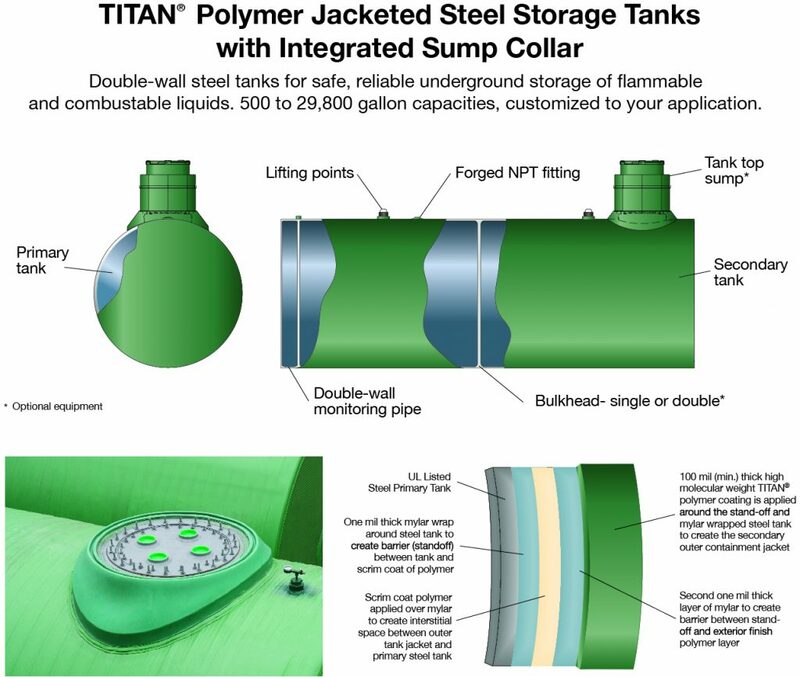 TITAN® tanks feature secondary containment, damage resistance, reduced installation costs, and a 10-year warranty standard with a 30-year warranty available. The HotShot design and construction is multi-layered for optimum performance and safety. The system includes a robust steel storage tank designed and constructed in accordance with UL-58 standards and certifications. An industrial high-temperature, two-part catalyzed interior coating is applied over a grit blast for maximum interior surface protection. Additionally, a high-temperature-resistive exterior coating, coupled with a pre-engineered cathodic protection system, creates a dependable dielectric barrier between the tank and the underground environment. The HotShot is designed specifically for the safe storage of heavy residual fuel oils (RFOs), such as No. 6 fuel oil. ACT-100-U® polyurethane coating technology meets or surpasses all current UL standards. The ACT-100-U® is as rugged as the STI-P3® tank but does not require cathodic protection with anodes or monitoring. Performance tests prove that the 70 mil thick ACT-100-U® coating is far superior to Fiberglass Reinforced Polyester (FRP) coatings and much more resistant to incidental damage. The “P3” combines the strength of steel with a three-way protection system: 100% solids polyurethane dielectric coating, electrical isolation and factory-installed cathodic protection system using sacrificial anodes.